Why is it that if you want to cook two items in the microwave, you’ve got to cook them for twice as long when you don’t have to do the same with a normal cooker? And do microwaves kill bacteria in food? Because air is a good insulator the thing that limits how fast a normal oven can heat something up is basically how fast the energy is transferred from the hot air to your food. The oven is powerful enough to keep the air hot, so adding another cake will not slow it down much. A microwave on the other hand is very efficient at transferring energy from the magnetron (the thing which produces the microwaves) to the food. So the thing that limits the amount of energy getting to your food every second is basically how much energy you are converting to microwaves. If you have twice as much food the same amount of energy will be transferred every second but it will be shared out over twice as much food, so it will heat up slower. 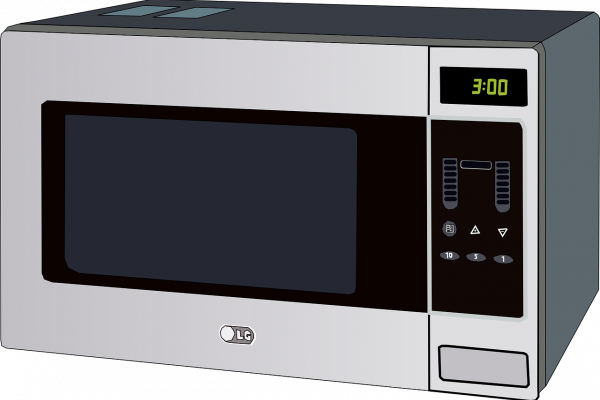 In terms of microwaves killing bacteria, if you don't heat food to the right extent there's a danger of getting hotspots and colds spots. That's why there's a turntable in a microwave. Without a hot enough area in the food any bugs could persist so you could end up getting food poisoning. Microwaves are just radio waves and the reason they make food cook is that it absorbs the energy of the microwave, the molecules vibrate and this raises the temperature. They're not doing anything special or zapping bugs by gamma irradiation or blasting DNA. They're just heating them up. If you don't make the food hot enough then you're not going to kill anything. It's all down to heat and nothing else. Previous Why do dogs' eyes shine in car headlights? Next Why do you get sparks in a microwave? Could humans survive on a raw food diet? This answer was provided by the Naked Scientists team.